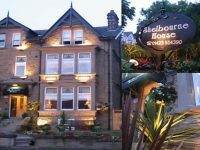 This guest house is situated in an elevated position close to the centre of town and seafront. 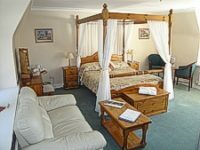 The bedrooms are smartly decorated in neutral colours with lovely coordinated soft furnishings and fabrics; some rooms have lovely views of the sea. Public rooms include a smart lounge with plush sofas, and breakfast is served at a large communal table in the contemporary dining room.